With the Easter weekend coming up, this was a fairly quiet global health week in many parts of the world. So we’ll focus in this issue on some more coverage and analysis of highlights of last week ( 2nd WHO Fair Pricing Forum, IMF/WB Spring Meetings, the Ebola DRC outbreak (still not considered a PHEIC), the report Health Taxes to Save Lives released last week by Bloomberg Philanthropies’ Task Force on Fiscal Policy for Health), the usual updates on key global health actors, the 4th Forum on Financing for Development (15-18 April), and the planetary health emergency. In reads related to the movement Extinction Rebellion, check out the difference between ‘Deep Adaptation’ and ‘Deep Transformation’, and find out what the term ‘ecophany’ means (warmly recommended as Easter is approaching ). Extinction Rebellion emphasizes the importance of mass civil disobedience to get to the transformation we (urgently) need. As usual, this newsletter also features some new reports & publications. 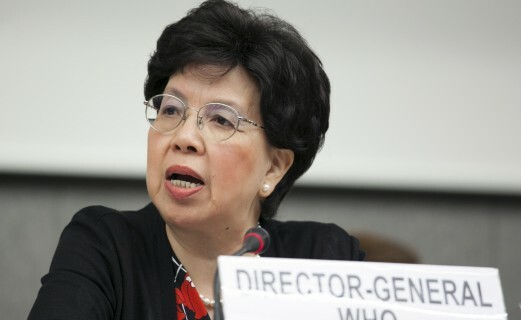 On Wednesday, WHO launched the first ever Digital Health Interventions Guidelines , and the organization also increasingly worries about a global measles crisis. With so many worries, anti-anxiety pills probably sell well these days around the globe. I also had a chance to visit the United Arab Emirates (UAE) this past week as the Emerging Voices Network’s ITM liaison for the EV Governance meeting which was held in Dubai – the location of the next EV venture and Global HSR symposium 2020. The two-day meeting was hosted by a very welcoming and generous local partner – the Mohammed Bin Rashid School of Government. After a productive meeting with the EV governance team, my boss and I visited Dubai, Abu Dhabi and Al Ain for a few days. A few kilos heavier (I blame the shish kebabs), we went home richer in our knowledge and understanding on Dubai (and the UAE), even if it was a brief visit. Like many, I had some reservations when Dubai was announced as the venue for HSR 2020, and while some of these remain (I still don’t consider Dubai a model full of ‘best practices’ to be copied elsewhere in the world  ), I understand a bit better why Dubai was selected. The city offers relatively easy access (incl. in terms of visa), world-class facilities, it’s one of the few feasible options in the WHO EMRO region, there’s the hospitality of the people, … and clearly also the rising prominence on the global health agenda of issues like migrant health, ecological resilience, as well as the (poignant) remnants of patriarchy in this – 21st – century. Coincidentally, Dubai will also host the Global Expo in 2020. All in all, this cocktail should lead to a very interesting symposium next year. This week's IHP news (518): internationalhealthpolicies.org/wp-content/upl… And happy Easter to all! I’ve become a regular reader of the IHP newsletter, and have found it makes interesting reading as well as very helpful in keeping me up to date with current developments. I’ve come across several highly relevant item in it that I’d not previously known about. I regularly read the IHP newsletter. It kind of helps that it’s published on Fridays when many of us in the global health check papers that made it to The Lancet.